If you’re considering creating a dessert bar for your wedding shower rather than having a sit-down dinner or buffet, then this is the post for you. You’d be surprised just how beautiful you can make dessert bars, if you take the time to really plan them out. Check out these 5 beautiful wedding dessert bars that other brides have created! 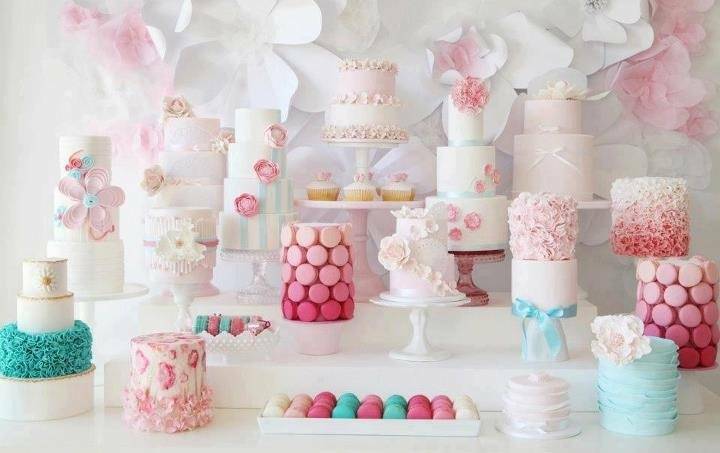 This gorgeous dessert bar, featuring teal and pink pops of color, offers up a variety of small cakes and delicious treats like macaroons. It’s very inviting and looks perfect for a teal and pink wedding palette. 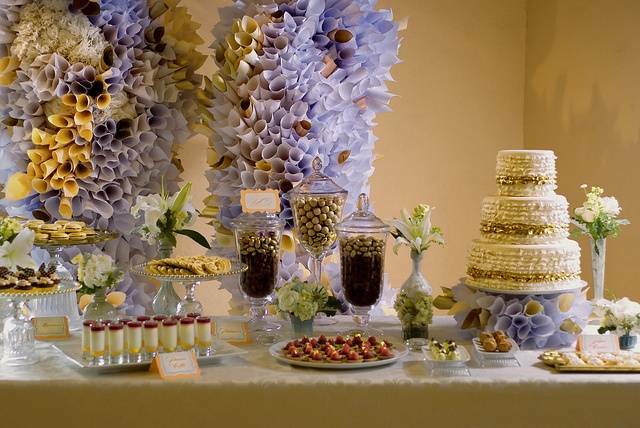 This elegant dessert bar features the wedding cake, along with tons of beautiful treats in large glass containers. What makes this one extra special are the lavender and yellow paper decorations. This fantastic chocolate bar takes advantage of a large variety of different serving dishes and platters. It offers up a huge array of chocolate treats guests will love. This round table looks absolutely wonderful jam-packed with pink and green treats. 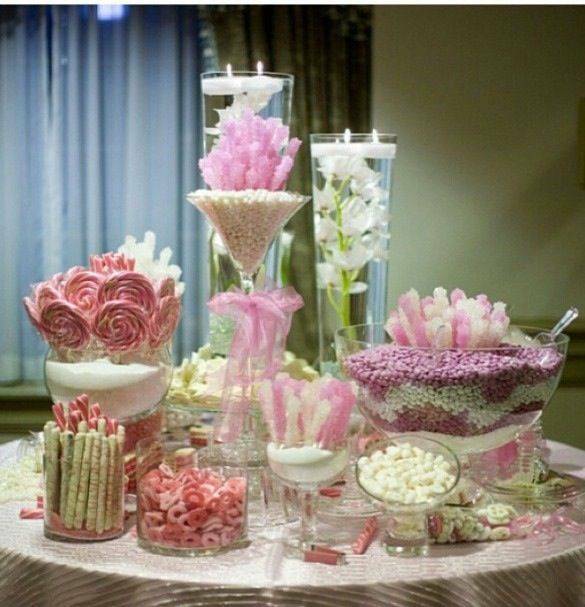 From lollipops to rock candy, this is a stunning dessert bar! Talk about luxury! 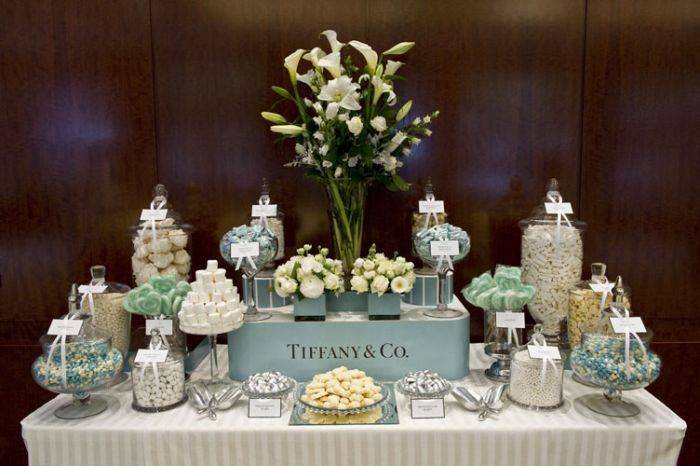 This fantastic dessert bar is Tiffany themed, featuring desserts in the beautiful signature blue of Tiffany’s. The floral centerpieces really make this one elegant and beautiful. 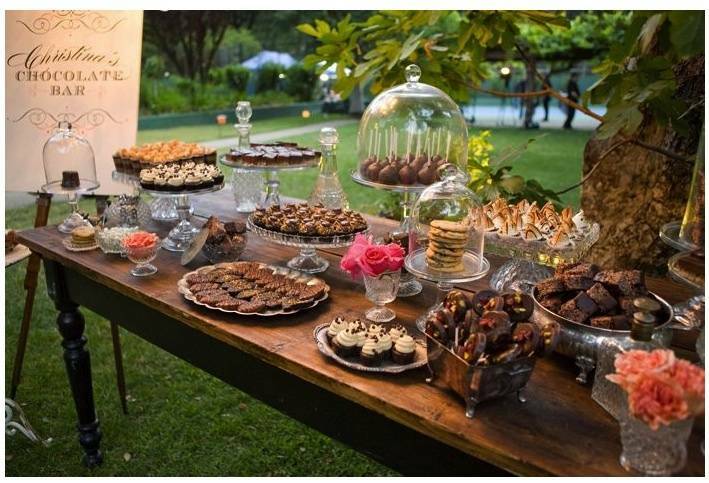 These are just a few great dessert bars that you can use for inspiration when planning your own wedding reception.